At My Hawaii we put customer service first! We value our customers’ feedback and use reviews to help improve our procedures and processes. Our My Hawaii reviews gain consistently excellent feedback. 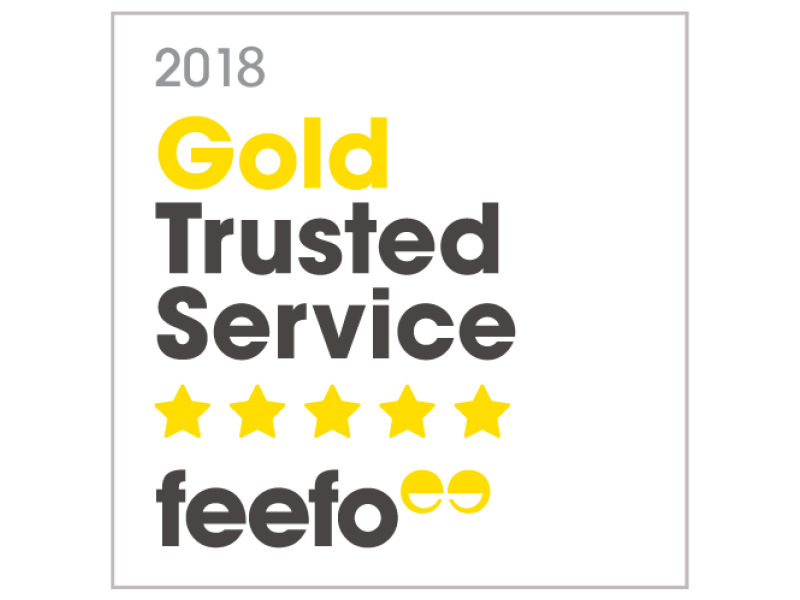 Our service consistently receives ratings over 90% and, in 2018, we were awarded a Gold Trusted Service Award for consistently maintaining an over 4.5 Star rating on independent review service Feefo! Most of our customers return to book holidays with us year after year so, don’t just take our word for it, read our My Hawaii reviews here! This is the 3rd time I have used My Hawaii. Very prompt and efficient when dealing with my enquiry. Staff are polite and have a good knowledge of the destinations. We have used My Hawaii to travel to Hawaii for the past few years and each time we have used this company we have had very good service. This year we talked to Natalie and she has given us a voucher for the Sheraton for which we are delighted as my mother in law is travelling with us and will have her 94th birthday in Waikiki so will have a great celebration. I just wanted to thank you for all the time and effort you put into planning our recent trip to Hawaii. We had a wonderful trip and everything ran so very smoothly. We have holidayed quite a lot, previously planning ourselves and utilising travel agents and this would have to be our smoothest running experience. Thank you again and we will not hesitate to use My Holiday Centre again to book a holiday. This is the 3rd time we have booked through My Hawaii. We cannot fault the staff who are incredibly professional, patient and accessible every step of the way. My Hawaii provides a brilliant and extremely well organised holiday with a personal and friendly touch. Once you land in Hawaii their staff are great and provide a hassle-free experience with the same welcoming attitude and attention to every detail. Olivia was absolutely wonderful. Her knowledge was very reassuring as this was all new to me. Prompt feedback and guidance made booking with My Hawaii a simple process. Have spoken to friends already recommending My Hawaii. Keep up the good work. Olivia, you are a pleasure to deal with. Best value travel company around! My Hawaii’s service is always 5 star. The consultants are always so helpful with getting you a great deal and the best value possible. We’ve booked five overseas holidays with them so far and they are always the best value for money compared with other travel agents. I’d recommend My Holiday Centre to anyone and everyone! This is now the third time I have booked a Hawaiian holiday this way. We had the same consultant, Sarah, for the past 2 occasions and she was excellent. No problems and Sarah altered the date of one of our tours at my request. I keep using My Hawaii because the value is there. Tried 2 other Travel Agents but they could not match the value. When we had a thought about what we wanted to do in Hawaii we relayed that to both Lindsay and Olivia and our quote was just what we were looking for. Both on the big island and Oahu. The friendly service was terrific but the knowledge of our consultants was excellent. It was easy and every time we asked a question we were answered in a timely manner. Very happy with My Hawaii service and would absolutely recommend them to others. We will certainly be using them again for a trip in the future. Booking through My Holiday Centre was so easy. Lena was so helpful on the phone, with advice on different destinations and general information about our chosen destination. Our flight was delayed overnight and My Holiday Centre simply arranged everything with destination transfers and accommodation. We have used My Holiday Centre for 3 holidays now and will definitely be using again. Great value with tours included and find it much easier to have these organised before we go so we just relax on our holiday. Service was good and prompt and all our questions were answered. I liked the fact that if someone was absent from your office another person was able to assist as all my details had been recorded. All staff were very pleasant. Pania was a fabulous consultant, helpful, understanding, knowledgeable. Our holiday was just wonderful, we have been to Hawaii many times but enjoyed this stay the most. The Moana was a dream location – amenities, staff, the lot. Thank you Pannia, your service was just the best. I have been travelling to Hawaii for over 40 years and My Hawaii offers the best deals I have ever encountered. They know their product back to front. Anyone thinking of travelling to Hawaii should use My Hawaii. Just wanted to thank the team for arranging yet another excellent holiday package for us. All the flights, accommodation, transfers etc. were spot on as usual. Booking with you not only attains a good deal for us but takes the worry out of arranging all the details. We also were given an upgrade in our accommodation in Honolulu so were very appreciative of that. Will definitely be using your services again. Mahalo! Read all of our My Hawaii reviews here!